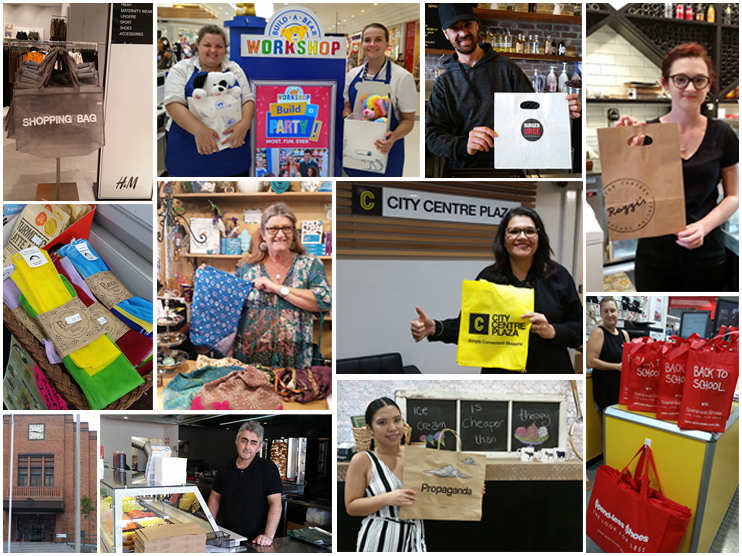 We recently met with retailers in Rockhampton, Gladstone and Yeppoon and were impressed with local businesses either not using plastic bags at all or preparing to transition away from banned bags. 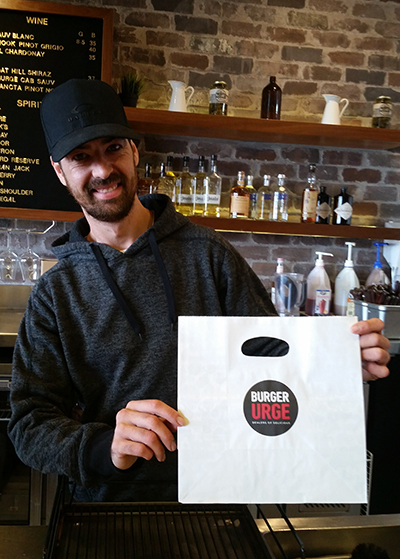 Jose at Burger Urge in Stockland Gladstone shows off their very stylish, unique paper bags. 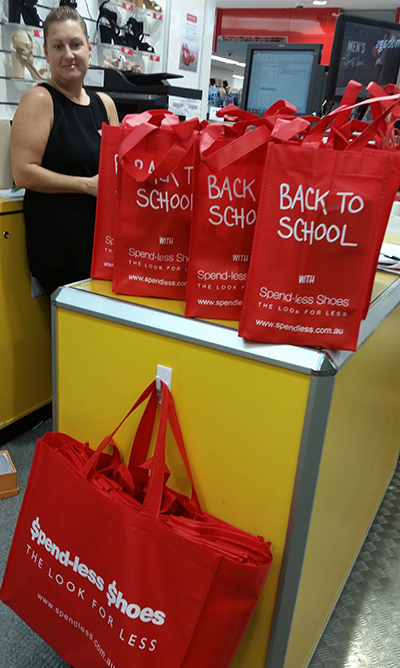 While they are still phasing out lightweight plastic bags, Haley at Spend-less Shoes in Stockland Gladstone is proud to show off their reusable Back to School bags and larger carry bags. Great storage solutions for keeping your shoes tidy! 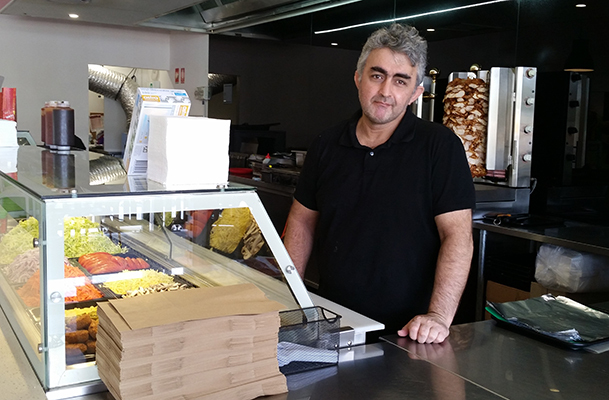 Camera-shy but proud to be phasing out plastic bags with paper bags, Selim at Sunshine Kebabs in Gladstone. He is weighing up options at the moment and considering charging a small fee for larger paper bags. 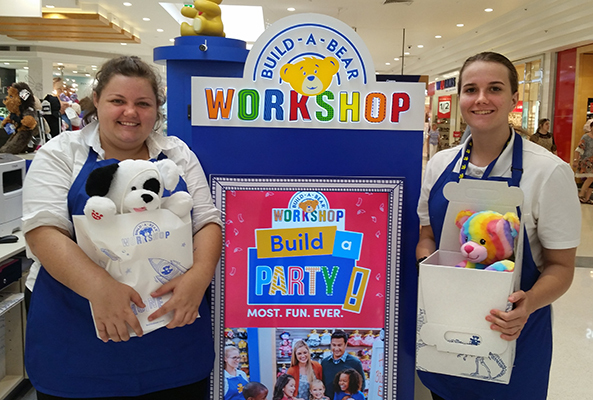 Samantha (left) and Isabella (right) love the fact that Build-A-Bear Workshop has always used paper bags and boxes. Pictured here at Stockland Rockhampton. 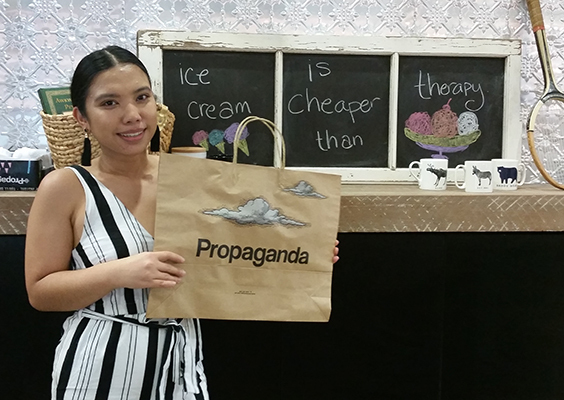 Frances at Propaganda Lifestyle – one of the coolest shops we’ve seen – uses branded paper bags that are too cool to throw out. 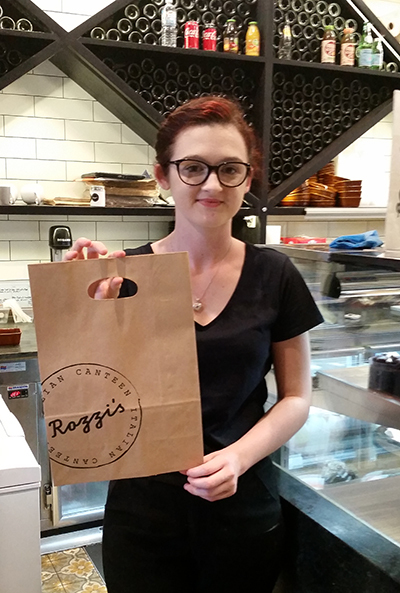 Emma at Rozzi’s Cafe in Stockland Rockhampton with their compact, branded paper bags. 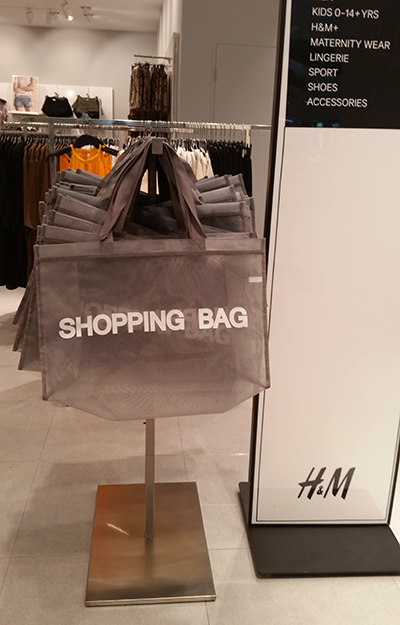 Great to see shopping bags at H&M in Stockland Rockhampton. The sheer mesh is a great replacement for baskets and allows staff to see through the bag, deterring shoplifting. 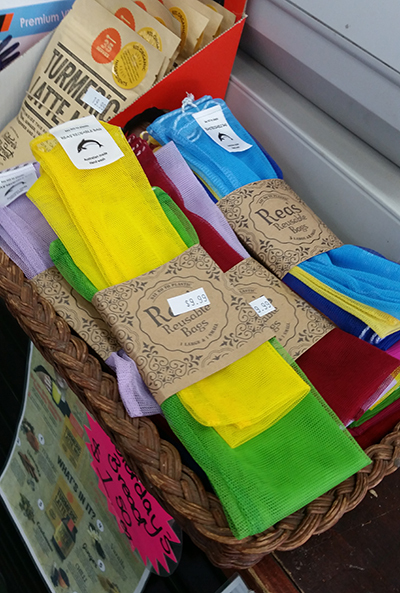 Reusable fruit and vege mesh bags seen at The Barn Fruit & Veg in Yeppoon. Though barrier bags are not included in the ban, these long-lasting bags replace the need for barrier bags and are better for customers’ produce! Leanne is a great supporter of going plastic bag free and has always used paper bags. 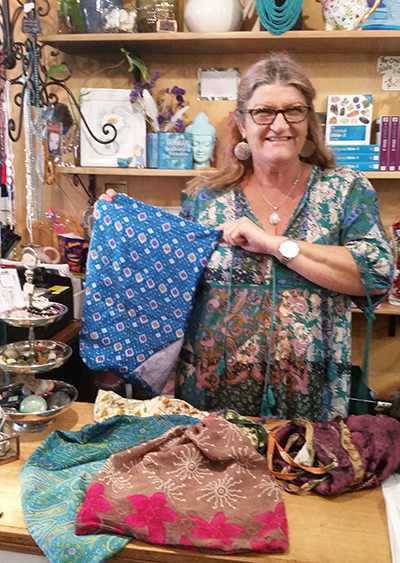 Taking it a step further, Leanne has just ordered her first shipment of Fair Trade recycled silk bags that are cheap enough to give away to her favourite customers. 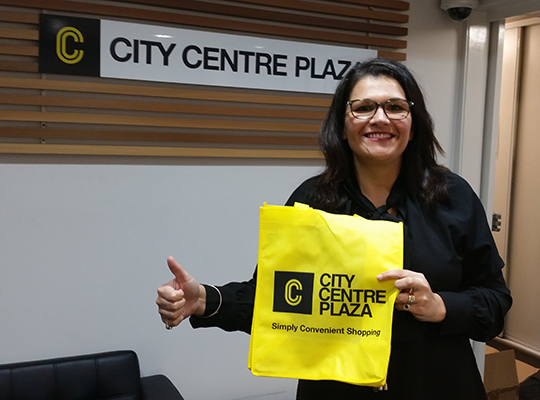 Even shopping centres are getting behind the transition away from plastic bags – Amanda at City Centre Plaza, Rockhampton, is excited to show off their branded reusable bags. Thank you to the Acting Mayor and Councillors of Rockhampton Regional Council who invited the NRA to present information to their Council Meeting this week. Thank you also to Leanne Randall from Livingstone Regional Council in Yeppoon who heard we were in town and rearranged her day to meet with the NRA. Great to see local councils wanting to know how they can help retailers with the transition.